CCB is a technique that facilitates letting go of stress, anxiety and stored suppression; creating the possibility for freedom, profound relaxation, improved breathing and self-acceptance. The workshop includes a complete explanation of the process, one breathing session and the processing of experiences, all within a safe, private and loving environment. Please bring a blanket and pillow to class. Unity welcomes Phillip Manuel back on Sunday, August 12! Phillip is an accomplished vocalist, actor, writer and voice over talent. He has an impressive body of work including his 2001 release, “Love Happened To Me,” “Swingin’ in the Holidays,” the soundtrack for the movie, “Cane River” (filmed in Louisiana), and is a featured guest on many compilations and CDs with other artists. Phillip will be accompanied by Paul Longstreth on keyboards and Aaron Fletcher on saxophone. Tianne Lastra is a master Reiki teacher. She is a member of the International Center for Reiki Training, and she is the only licensed Master Reiki teacher in Louisiana. She is also licensed in Japan. She works out of East Jefferson Hospital and has done extensive work with cancer patients, including with her husband, who is a physician. Tianne and her husband opened an Integrative Medicine Department with multiple offerings of complimentary healing therapies. She and Dr. Holly Groh will soon be starting a "Helping Hands" Reiki class at Unity Spiritual Center in New Orleans on Wednesdays from 1:00-3:00. 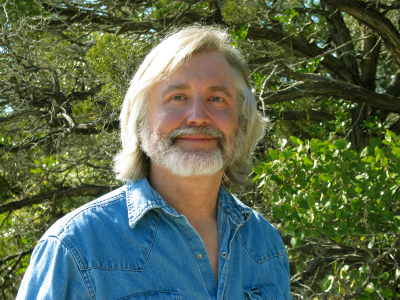 A longtime member and former board member of Austin's Wildflower Church, speaker and singer-songwriter Steve Brooks has performed at more than 40 Unitarian and Unity churches around Texas and beyond. His services are an entertaining and thought-provoking blend of sermon and song, in which he integrates homilies, hymns and special music. His topics include "For the Sake of the Song," about songwriting as a spiritual path; "Pundamentalism," a lighthearted theology of the lowly pun; "Born-Again Pagan," a look at the real old-time religion; and "For Pete's Sake," a celebration of the late, great American folksinger and Unitarian Pete Seeger. Musically, he's known for writing a song-a-week for Jim Hightower's radio show, and for songs that have been recorded by folk and Americana artists like Slaid Cleaves, Albert & Gage, Russell Crowe and more. He's had music in two films and appeared in two more, including the 2004 release "Barbecue: A Texas Love Story." A master of words as well as music, he was featured on TV's "I've Got a Secret" as six-time World Pun Champion. The film is also available for purchase on DVD or as a digital download on warriorfilms.org or through iTunes. Warrior Films produces compelling documentary films about solutions to the world's problems: everyday people finding ways to overcome oppressive socio-economic barriers. Most known for Hoop Dreams, we tell transformational stories that transform lives. Though we specialize in stories of the poor, youth, people of color, the dispossessed...each story is issue specific. We go worldwide to tell the right story. years. In nearby Tibet and Ladakh, in Sikkim, Bhutan, and Nepal, traditional Tibetan Buddhist culture is either dead already or dying. The horror of Chinese government design in Tibet is being matched by the destruction of global economics. Zanskar, ringed by high Himalayan mountains in northwest India, one of the most remote places on the planet, has been safe until now. But that's changing. In 3-5 years a road connecting Padum, the heart of Zanskar, with Leh, the heart of neighboring Ladakh, will be finished. The route which previously took up to two days by car will take only 4-5 hours. As economic growth descends on Zanskar it will bring with it an end to this unbroken Buddhist social tradition. Will the native language, culture, and religious practice be able to survive? Watch Journey From Zanskar to discover how two humble monks, far from their Buddhist temple, honor their vows by supporting these remote village children to get a great Buddhist education. Haiyan Khan will present plans for Santosha Village, a tiny-house community to accommodate 20 homeless people. Along with a group of dedicated volunteers, Khan is working to build a sustainable, healing environment to enable unhoused individuals to establish productive lives. The interactive discussion will touch on a variety of topics, including hyper-affordability, tiny house design, community living, emotional wellness and the opportunity to create a meaningful life. Swami Sankarananda has walked more than 6,300 miles through 19 states, advocating for inner peace. Inspired by the Peace Pilgrim Mildred Lisette Norman who traversed the United States for 28 years, Swami Sankarananda walked on foot from Pasadena, Calif., to Egg Harbor, N.J. where an annual celebration for the Peace Pilgrim is held. He carried with him only the bare necessities, relying on the generosity of others to sustain him. Now, he travels in his "Yoga for Peace" minibus. "I am encouraged to have faith and believe that what I really need in life will make its way to me," he said. We heard from a group of our church members who attended the Nehemiah Retreat this week at Unity Village. The forum consisted of a slideshow presentation and lively conversation as they shared their experience with 40 other Unity members from around the country who engaged in service projects and toured the grounds at Unity Worldwide Headquarters in Kansas City, Missouri. On Sunday, Oct. 1, 9:45-10:45 a.m. at Unity's monthly Wellness Forum, herbalist Stevie Ray Blake of Maypop Herb Shop is returning to discuss the ways our beloved cooking herbs and spices can support wellbeing, help prevent and recover from common ailments and even effect chronic health concerns. Stevie will discuss flavorful herbs that grow well in New Orleans as well as some common spices that can be found in any grocery store. Prepare to see your pantry in a new way---- as a medicine cabinet! This class will also include recipes and basic preparation techniques. On Sunday, Sept. 10, 9:45 -10:45 a.m., Meghan Hays, a lecturer on Ayurveda, one of the world’s oldest known forms of medicine, will speak at the Bob Tucker Wellness Forum. 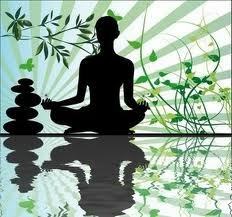 With roots in ancient India, Ayurveda is often called the “sister science” or “healing side,” of yoga. Ayurveda empowers individuals through a self-discovery process, uncovering their inherent constitutions, present from the moment of conception. Each person’s choices, environment, and karma play roles in shaping potential imbalances, which unchecked, may develop into disease. Ayurveda assists by prescribing modifications in diet, lifestyle, exercise, herbs, sleep, and myriad other holistic treatments to allow individuals to get back in balance with their inherent natures. 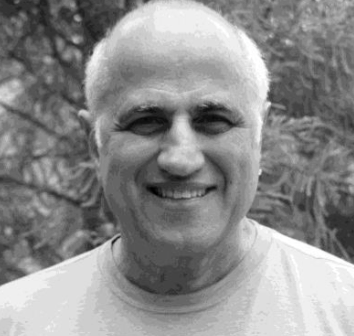 Hays has been working in the fitness and wellness industry for 18 years, and is currently studying with the California College of Ayurveda to become an Ayurvedic Doctor. 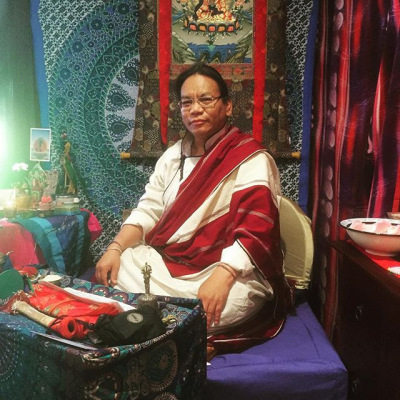 She is extremely passionate about sharing the knowledge of Self, which Ayurveda so beautifully imparts, and feels honored to share a taste of this deep and timeless wisdom with the Unity of New Orleans Spiritual Center. Sunday, August 6, 9:45-10:45 a.m., Margaret Nicolson, a certified Jin Shin Jitshu practitioner, will give a free presentation and demonstration of this ancient healing art at Unity of New Orleans Spiritual Center, as part of the Bob Tucker Wellness Forum. Jin Shin Jitshu is a Japanese art form, which relieves pain and tension in the body. Its literal translation is “the art of the creator through compassionate man.” Practiced before the birth of Buddha, Jin Shin was rediscovered in the early 20th century by Master Jiro Murai. The human body contains energetic pathways that feed life into our cells, but when one or more is blocked, the flow of energy is disrupted. The modality works with a set of 26 specific points along those pathways to balance the “life force energy.” As the pathways are cleared through a gentle, hands-on application, balance is restored. 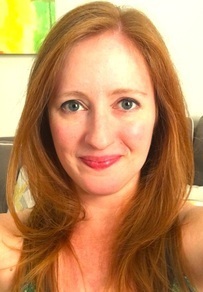 Nicolson will demonstrate how healing can easily be practiced on oneself. A daily maintenance program as well as a specific individual program can be designed to maintain harmony or break down new congestions. Twenty minutes is all that is required to complete one circulation pattern or hold a SEL point or finger for a couple of minutes. Dr. Shaye was a practicing Doctor of Chiropractic for 20 years and has since dedicated his life to full-time service to God demonstrating an unusual gift of healing. National ACIM speaker and author, Rev. Myron Jones, says about her 1:00-5:30PM Sat., June 17, workshop at Unity Spirituality Center (3722 St. Charles Ave.): "There are three very basic steps we take as we move toward Awakening. In this workshop, we are going to look at these steps together. But we are not going to stop there. This is an interactive workshop, so we are going to get active! Come prepared to move forward on your path to Enlightenment!" Dr. Landry is a premiere designer of personal philosophy and speaks to national audiences across the U.S. We are pleased to present this month's wellness forum topic "Healing by Understanding and Using The Laws of The Mind." Join us as Dr. Landry interweaves well known Unity principles into a presentation that will give you the power to increase your awareness of how you create your reality through your thoughts. 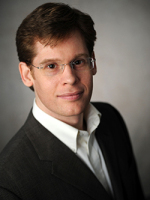 Dr. Landry is a member and adjunct professor with the international association of counsellors and therapists. He is also member and President of the Louisiana Hypnotherapy Organization. Don't miss Sunday, March 19th's 11:00 Service! Tibetan Buddhist monks visiting from the Drepung Gomang Monastery in India will be leading a special meditation. Cynthia Cuttino Edwards spoke about hypnosis and the benefits of hypnotherapy. Our guest speaker Anna Davis, M.D. discussed alternative approaches to health. On December 6th, NY Times bestselling author James Twyman will host a world premier screening of a new feature documentary called The Twelve Powers. The film, based on Charles Fillmore's classic book by the same name, is the first in a series of three documentaries entitled A Sound Called Unity, all of which are based on the primary teachings of the Unity spiritual movement founded by Fillmore and his wife Myrtle in 1889. The second film, to be released at the end of 2017, is based on Five Basic Principles of Unity. The Twelve Powers documentary features wisdom from over forty minsters well representing the Unity message. It also follows James Twyman and a group of Jewish rabbis, Muslim imans and Christian ministers as they travel to a hill overlooking a Syrian village held by ISIS. Millions of people participated in a worldwide synchronized meditation that day, as prayers were shared from the three religions. The Twelve Powers will be released in nearly every Unity church the weekend of January 20-22, 2017. Swami Sankarananda, who has walked more than 6,300 miles through 19 states, advocating for inner peace, spoke at Unity at the 11AM Sunday service on Jan. 8, and he gave a workshop on Jan. 11. His topic was transcending fear to find deep, inner peace. Inspired by the Peace Pilgrim Mildred Lisette Norman who traversed the United States for 28 years, Swami Sankaranda walked on foot from Pasadena, Calif., to Egg Harbor, N.J. where an annual celebration for the Peace Pilgrim is held. He carried with him only the bare necessities, relying on the generosity of others to sustain him. 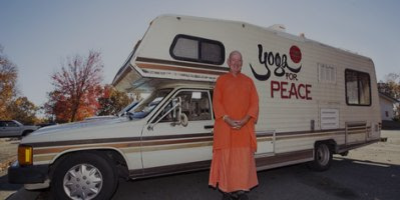 Now, he travels in his "Yoga for Peace" minibus. 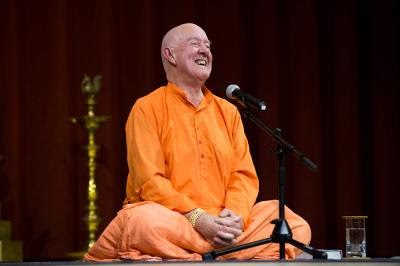 Listen to Swami Sankarananda's Truth Lesson at Unity. Read Unity member Mary Rickard's article in Gambit. Ginger Doss ​presented her music and the truth lesson at September 11th's 11:00 Service. Acupuncture is the longest continuously practiced medical treatment dating back over 5000 years old. Dr. Lam was trained in China under the old school apprenticeship program and explained how acupuncture is used to treat conditions such as digestive, neurological, emotional and respiratory. This forum included an actual demonstration of the acupuncture process as well as a Q&A regarding specific concerns on treatment. Dr. Lam is the owner of The Chinese Acupuncture Herbal Center and has over 15 years of extensive Traditional Chinese Medicine experience. In this session, Hans Gruenig introduced participants to Compassionate Communication -- Marshall Rosenberg's transformative approach to thinking, listening, and speaking -- which can help to create greater connection in relationships, greater ease in working through differences, and greater peace in relation to ourselves and others. Jeffrey Long, MD returned to talk about his research on near-death experiences and his most recent book God and the Afterlife. Click below for video of his appearance on The Today Show. Pranic Healing uses a cookbook approach to heal the energy body in order to heal the physical body. It’s simplified and organized so that anyone can learn to heal quickly and produce tangible results. This experiential talk demonstrated how to manipulate prana (life force). Charles Fillmore, Unity Church Founder, said, "Man should not kill animals for food." 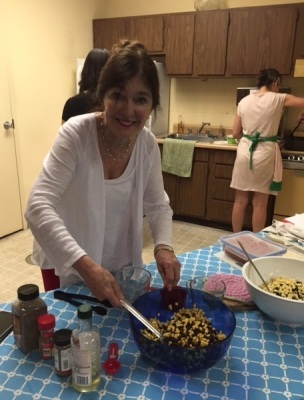 Jessica Netto and Tara Sidhom spearheaded a fabulous vegetarian cooking series of classes where participants learned to prepare delicious and healthy dishes. Tibetan Buddhist Monks, including a reincarnated Lama from the Sera Mey Monastery, spoke at Unity. Thank you to Ralph Madison for the incredible pictures and video. Practice of the Buddha of Compassion"
Together with the Tibetan House of New Orleans, Unity welcomed Karma Rinpoche. Dr. Catherine Wilbert led a session on the spiritual healing powers of drumming. Drumming is an ancient modality which promotes healing and self-expression. Eddie Watkins, Jr. presented both at the Sunday Service and at an afternoon concert. Motown with a Message was a concert of Motown hits as well as original compositions with a Unity message. Along with The Tibetan House, Unity was honored to host the Tibetan Buddhist Drepung Gomang monks from India. Saxophonist Aaron Fletcher was a guest musician at the Sunday service.